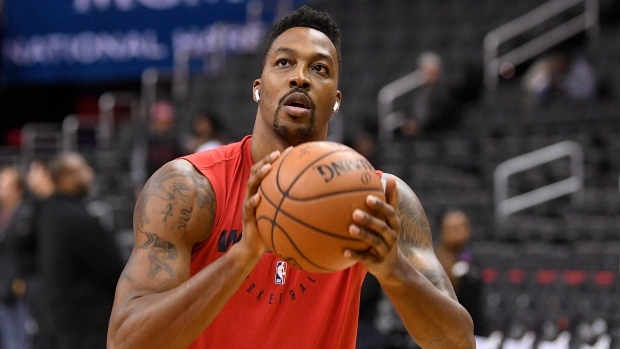 Washington Wizards centre Dwight Howard, who last played in a game on Nov. 18 because of a back injury, will commence on-court work with the Wizards today, per The Athletic and Stadium's Shams Charania. Howard was initially listed as day-to-day with the injury, but ultimately underwent surgery on Nov. 30 and has been sidelined ever since. Similar back problems caused the 33-year-old to miss the first seven games of the season. In total, Howard has only played in nine games during the 2018-19 campaign, averaging 12.8 points and 9.2 rebounds over that span. The Wizards, who Howard signed a one-year deal with in the off-season, are the fourth team the centre has played for over the past four years. Washington is currently 24-34 on the season, which has them sitting in 11th place in the Eastern Conference standings.